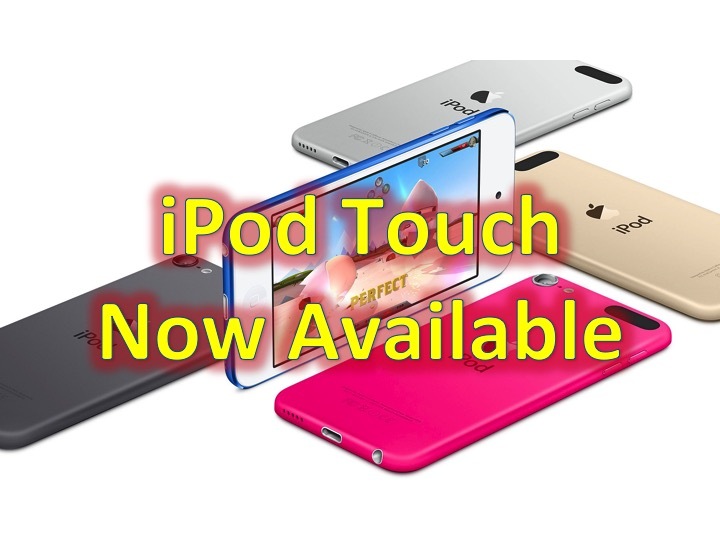 Apple’s newest iPod Touch is now available at Apple retail stores as well as Apple’s own online store. The newest variation of the iPod Touch includes new colors, an option for 128GB storage, A8 chip with 64-bit architecture and M8 motion coprocessor (same as iPhone 6 and 6 Plus), an 8 MP camera, and 1.2 MP front facing camera. The iPod Touch retains its 4 inch display, but has a higher resolution, 1136-by-640-pixel resolution at 326 ppi. One notable physical feature missing is Touch ID. Apple’s iPod Touch starts off at $199 (16GB), other price points include bigger storage, $249 (32GB), $299 (64GB) and the priciest at $399 includes 128GB of onboard storage. Ready to buy an iPod Touch? Click here to head to the Apple Store.